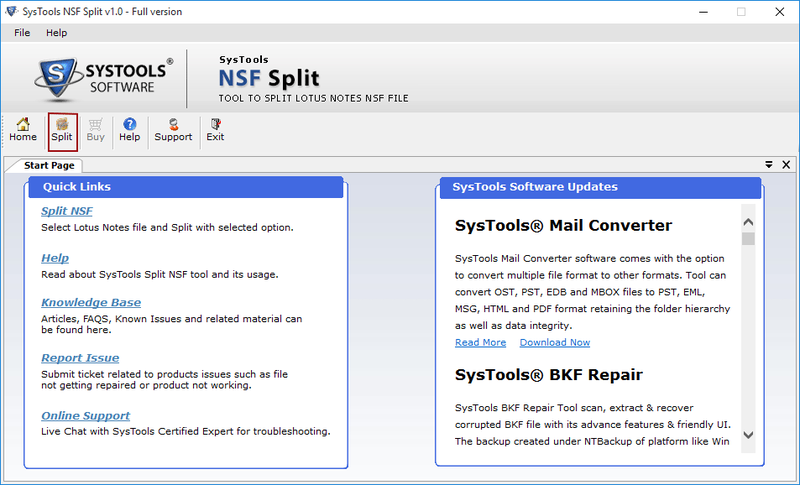 The NSF Splitter Tool allows to break, split Lotus Notes Archive file, contacts and mailboxes. If a user wants to reduce the size of NSF file and then, you can divide the file by using NSF File Splitter Software. This tool works on password encrypted NSF files and splits mailbox accordingly. With split NSF file by size option, the users can break a large size of Lotus Notes database into small equal parts. 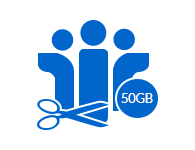 The users have to mention the file size range from 30MB to 50GB and then, he can split Lotus Notes mailbox as per the specific required file size feature. The NSF File Splitter Software is capable enough to split NSF files on the yearly basis and creation of a single NSF for each respective year. For an instance, if a user has chosen year from 2010-2014 then, the software will create four individual .nsf files that represent each year. 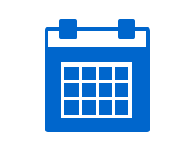 According to divide NSF file by date feature in NSF Splitter Software, the users enable to filter their email of the particular date range for creating the new database from a large NSF archive mailbox. Users just need to mention the date, of which mail is required from the NSF files. Using NSF Splitter Tool, the users can create multiple .nsf file which represents each folder from the database. Moreover, such folders can be split according to file size. Suppose Inbox.nsf is created for Inbox folder, Outbox.nsf is created for Outbox folder separately & also, a user can maintain the file size by applying filter size option. For Splitting NSF File by Size, Date and Year trial version will export first 15 mails and for Split by folder demo version will export first 15 mails of each folder. If you are using Domino server then copy the NSF file in offline mode to another location & then perform the splitting process. 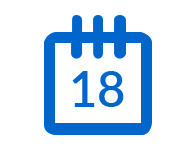 Lotus Notes – Lotus Notes 9.0, 8.0, 8.5, 7, 6 & below Versions are Supported by the Software to reduce size of Lotus Notes Mailbox, Archive and Contacts. Does the installation of Domino Server required for using NSF Splitter Software? No, NSF Splitter tool does not require Domino server installation for splitting the NSF database files. Can I split my previous year NSF emails with the help of this software? Yes, the users can select an option “split by year” and then, they can check the result either a .nsf file is split on yearly basis or not. Is it possible the software capable of breaking a large sized Lotus Notes NSF files? 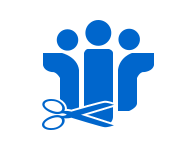 Yes, the users can split NSF files of any size without any size restriction. I have forgotten the password of my Lotus Notes NSF files. Can I split it successfully? No, if the users have forgotten their password then, they have to recover the password and after that, they will able to split their .nsf files. Is NSF splitter tool compatible with Windows machine or not? 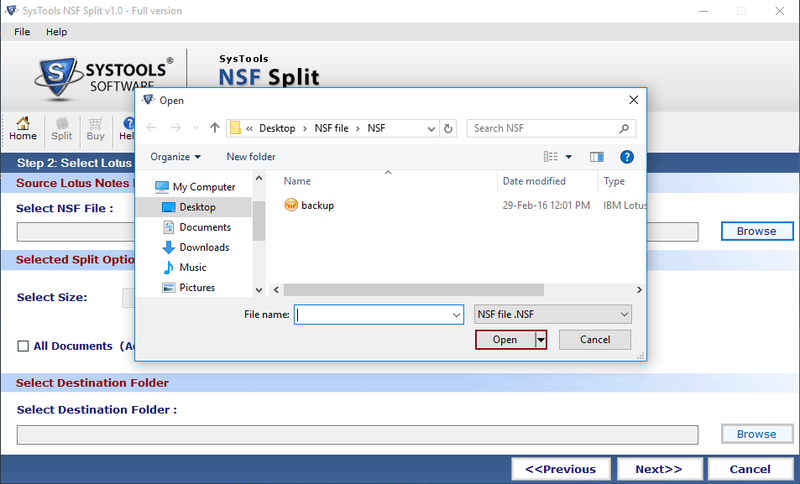 Yes, our NSF File Splitter tool is completely Windows-based, which supports all Windows version including 10 and its previous versions. Can I split large archive files of Lotus Notes using NSF Splitter Software? Yes, the users can easily break Lotus Notes NSF archive, mailboxes and address book by year, size, folder, and date with this software. Does the installation of Lotus Notes required to split database files? Yes, Of course, while splitting huge NSF files there is a need to install Lotus Notes on your local system. 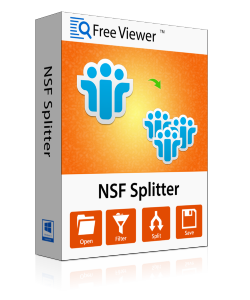 "The important aspects of NSF splitter Software is that it offers 4 different options to split NSF file by size, folder, year and date. The users can choose any of the options as per their requirement. Also, the software will create the customized way to save each NSF files in a separate folder. 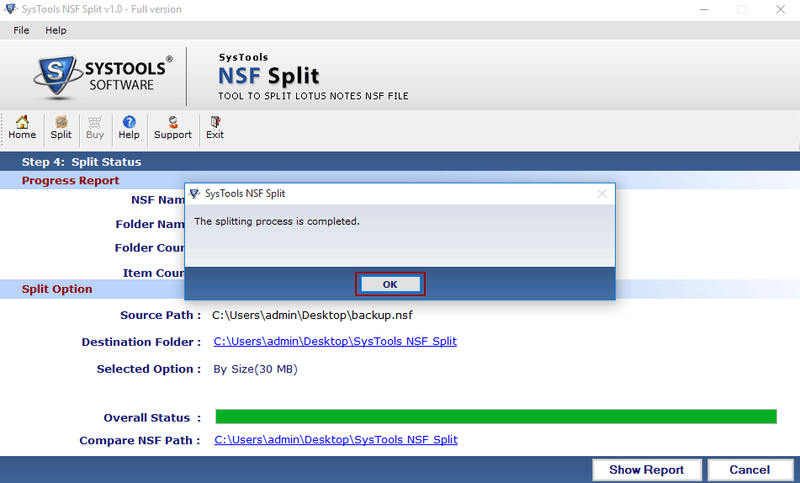 Even I never thought that splitting NSF file is very easy with this NSF splitter Tool. Great Work! Thanks a lot." "NSF file splitter is an Outstanding solution that can divide Lotus Notes NSF file into smaller parts. It is a reliable, comfortable to use and provides assured results, which makes it perfect. In fact, I want to recommend this amazing tool to all users that give the satisfactory results. Great work was done by the developer with a user-friendly interface of the software." "A few days ago, I need to split large Lotus Notes NSF database file into small parts yearly. But I was unaware of any method to do such task. Then, one of my friend suggested me this utility. NSF Splitter Tool really works for me and I got positive results above my expectation level. What an amazing tool to split NSF file!!" "It was a challenging task for me to break huge NSF file date-wise. I tried many approaches that help me do such thing. But due to failure, I tried NSF File Splitter Tool and I got surprised with the efficient working of the application. This NSF Splitter tool works smoothly on my system and gave me results as I was expecting."